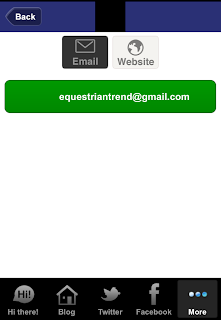 I have big news! 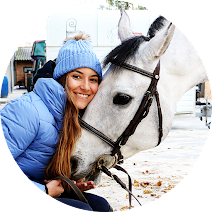 Equestrian Trend has a mobile app! 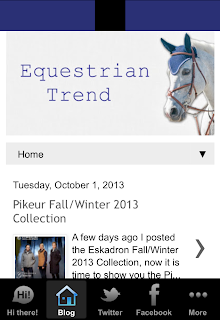 You can download it to your smartphone, tablet, iphone or ipad! 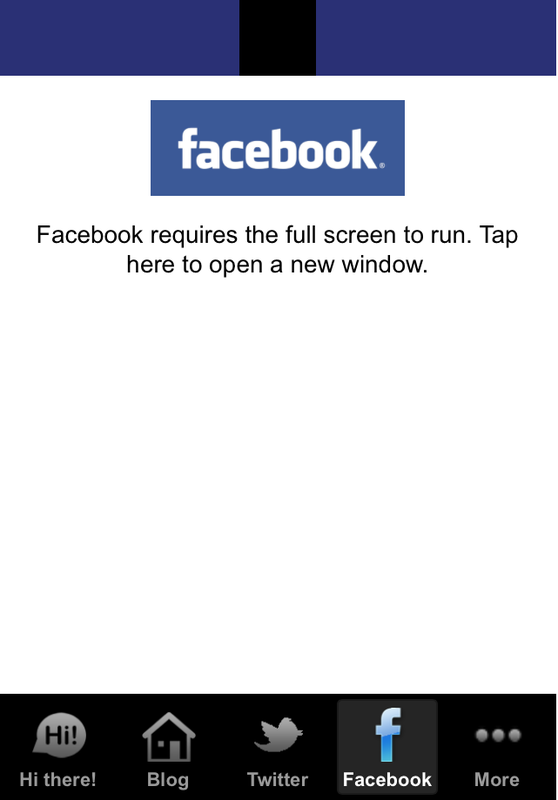 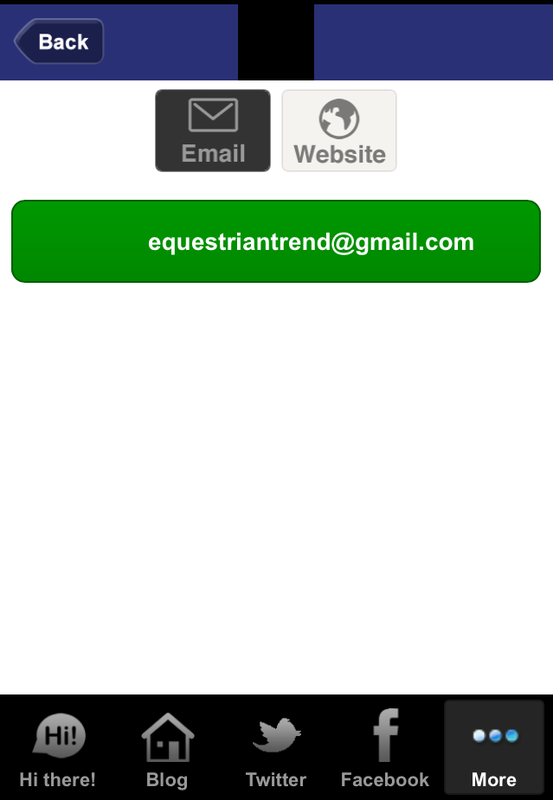 To install the app open this link: http://myapp.is/EquestrianTrend on your device and then follow the instructions. 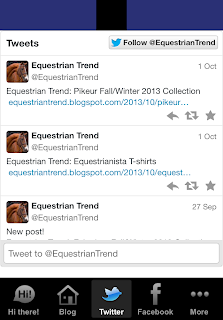 See all posts in the app. 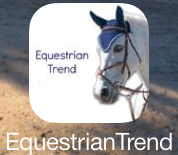 Follow Equestrian Trend's Twitter using the app. 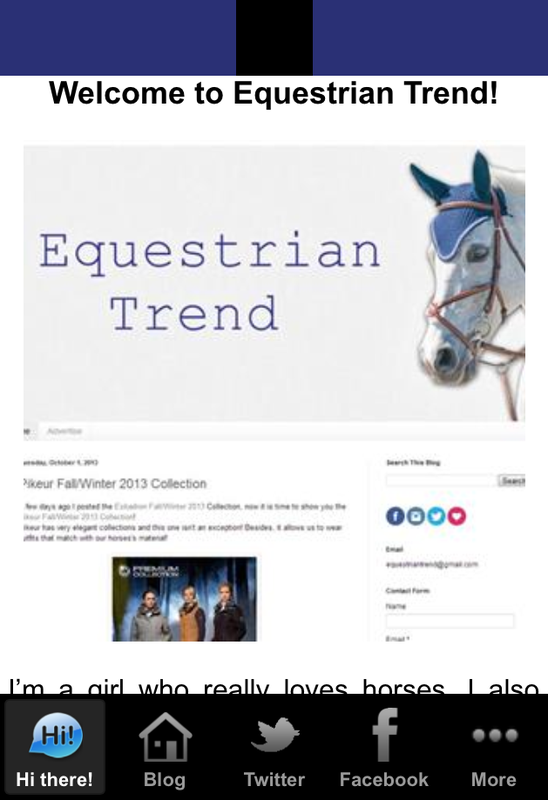 Access to Equestrian Trend's Facebook. 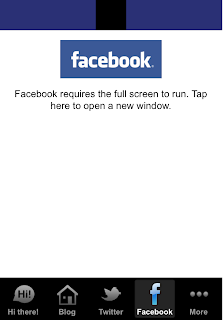 Do you like the app? 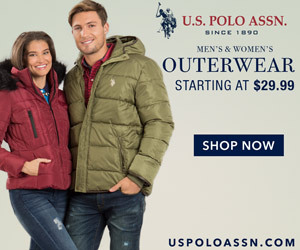 Tell me what you think about it!